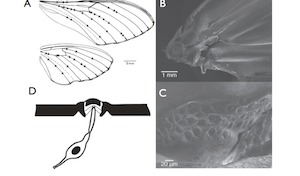 Our lab is interested in the control and dynamics of movement in biology. 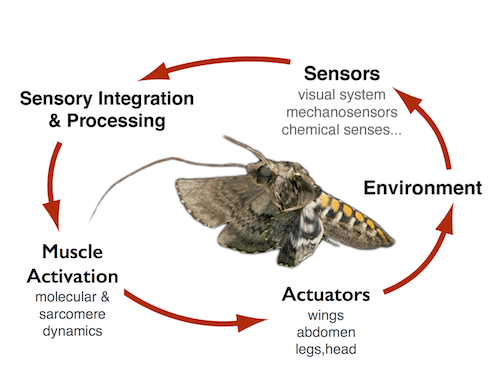 From molecular levels of organization to sensing, information processing, actuation and flight mechanics, we focus on a range of research projects aimed at reverse engineering flight control in Manduca sexta. Flying animals are capable of precise, agile maneuvers that range from hovering while feeding from a moving flower, to mating in midair, to the complex interactions between aerial predators and prey. Flight control requires sensory inputs from a diversity of modalities and the coordination of multiple muscles across the body. While vision is a crucial sensory modality, flight also requires information about inertial dyanmics. We have a series of research projects aimed at revealing the basic mechanics of how structures respond to inertial and Coriolis orces. For example, we have recently shown that Coriolis forces acting on wings result in a twisting mode of deformation. That twist is likely to arise in all flapping structures subject to such forces. In a parallel research effort we have focussed on how mechanical information is acquired and processed by the nervous system. Using a combination of intra- and extracellular recording methods we have focussed on (a) identifying the features of the mechanical stimuli that drive neural responses and (b) the precision, speed, and efficiency with which such features are encoded. In collaboration with the Brunton lab, we are also interested in using sparse sensing methods to reveal strategies for efficient information processing for flight control. For some time, we have been concerned with the dynamics of muscle contraction -- at the level of whole muscle and at the level of the molecular motors that drive contraction. 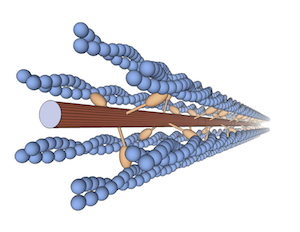 In one set of studies we focus on how motor molecules may interact through a compliant network of actin filaments. In a current study, we are collaborating with the labs of Mike Regnier, Peko Hosoi, Simon Sponberg, and Tom Irving to reveal the mechanical processes that underlie force generation in a lattice of flexible filaments with fluid surroundings. 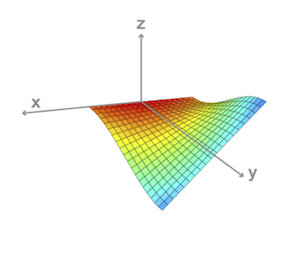 With a combination of experimental work in the lab and at the Argonne Advanced Photon Source along with theoretical work, we have been modeling and measuring muscle forces from the nm to the cm spatial scale. This work has been part of a long term collaboration with the laboratory of Mike Regnier.